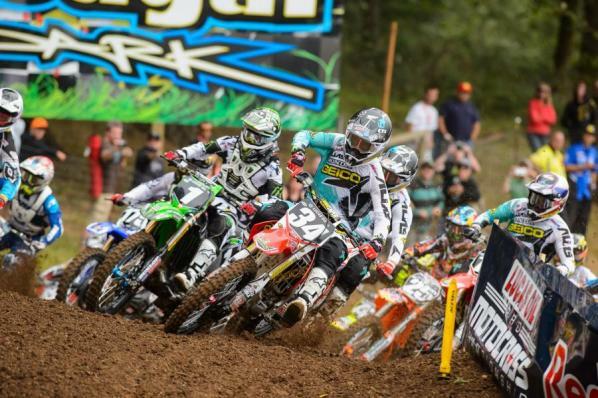 Coming into the Peterson CAT Washougal National there were two big storylines. 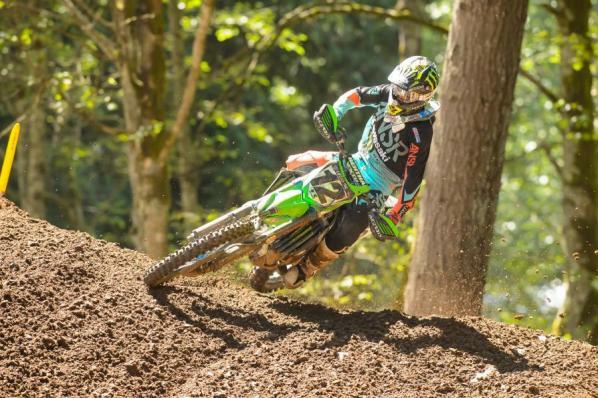 Would Monster Energy Kawasaki’s Ryan Villopoto finally break through for the first career overall victory at his home track, and would we finally get to the long awaited duel play out between 250 Class Commandos Eli Tomac and Ken Roczen? The answers are yes and no, but you’ll have to read the report to find out which answer goes with which question. 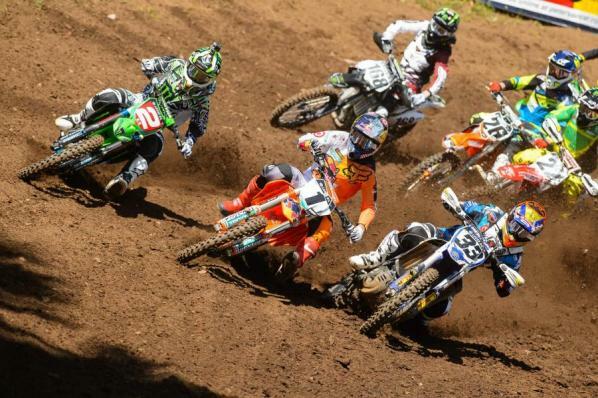 Photo above: Ryan Dungey kicked off the day's racing by grabbing the holeshot in 450 moto one. but a crash in a corner shuffled him back to fourth. Barcia's crash handed second to James Stewart, but he was unable to track Dungey down. 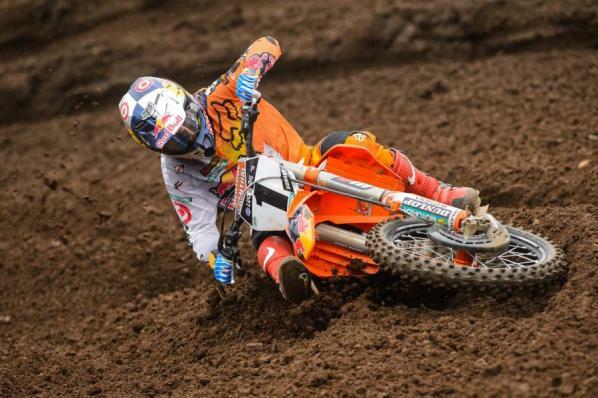 who went to work on slowly reeling in Dungey. 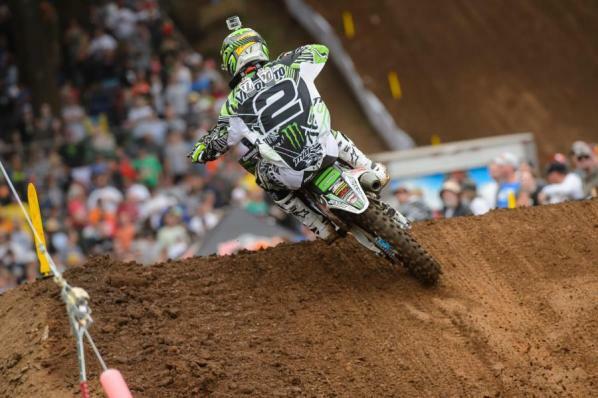 but a surge in the final two laps saw Villopoto nearly snag the moto win from Dungey. 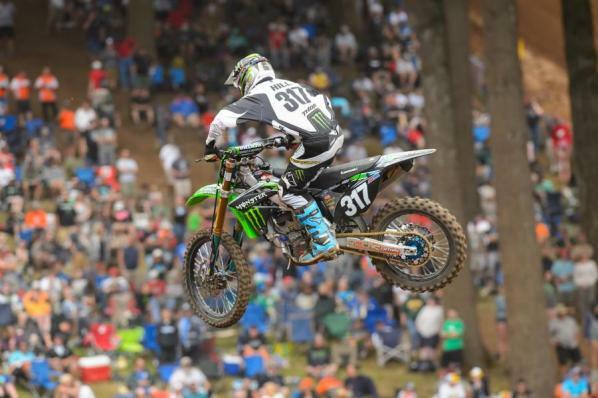 but Dungey, Villopoto and Stewart would soon get by him. Grant would eventually slide all the way back to tenth place with rear brake problems. 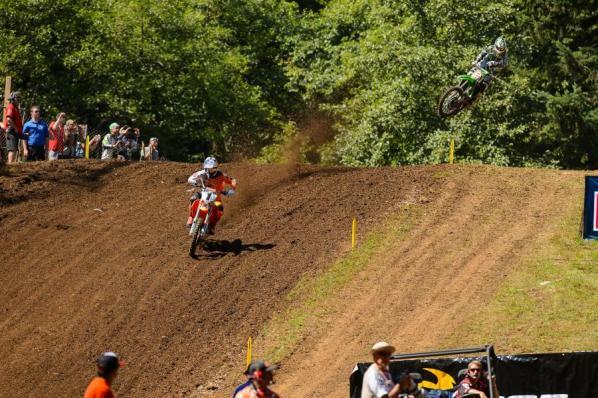 Villopoto rode behind Dungey for a while before making the pass and motoring away. 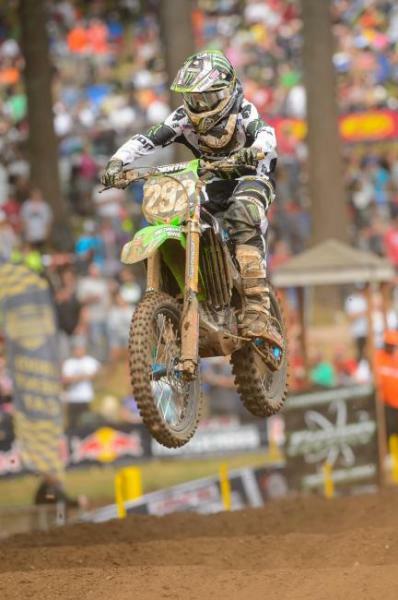 Jake Weimer put together a fantastic second moto, taking fourth. Behind him was Broc Tickle, who tied his best moto finish of the year with a fifth. 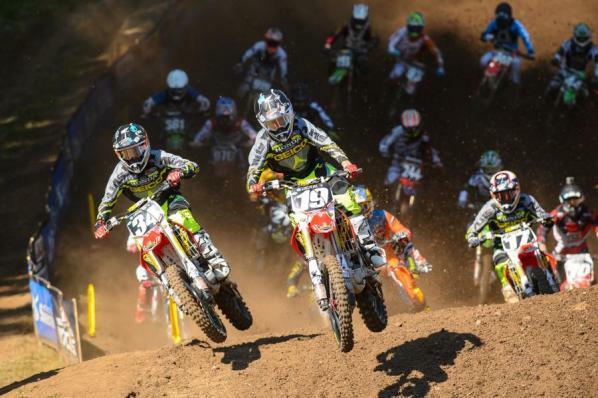 Reed, Grant, Alessi, Nicoletti and Short, with Alessi getting the best of the group. 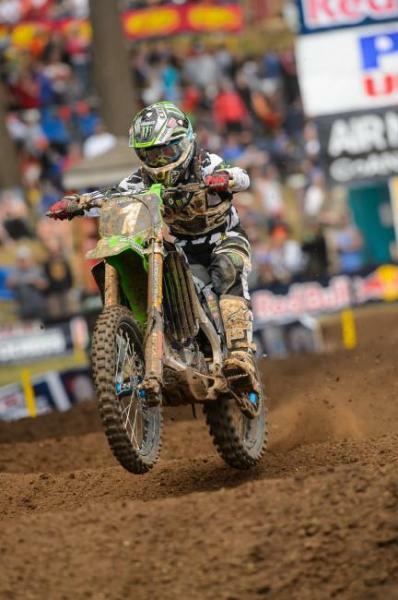 Ryan Villopoto was stretching out his lead for the moto win. 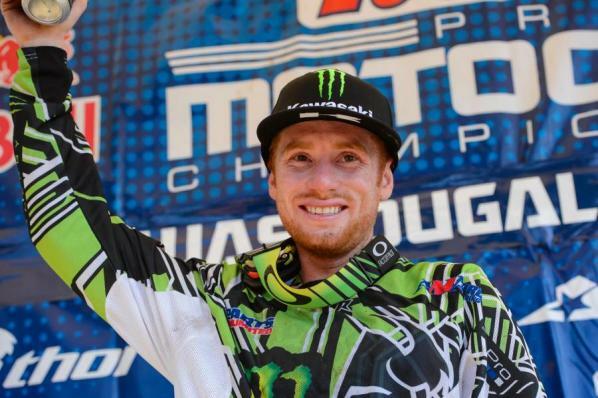 Villopoto's second-moto win secured him his first overall win at Washougal, his home state track. Justin Bogle nabbed the Motorcycle-Superstore.com holeshot in moto one and led one lap before surrendering the lead to teammate Eli Tomac. 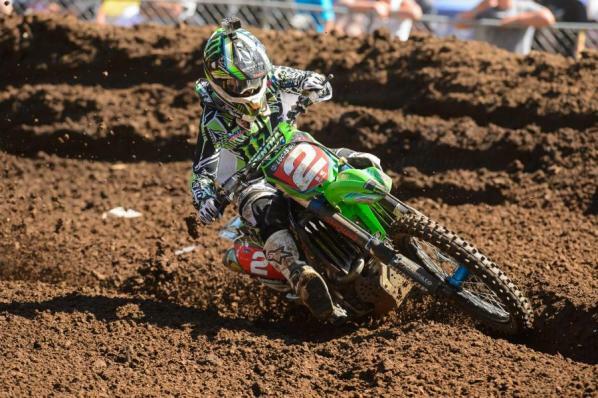 Once he had the lead, Tomac proceeded to lay down ridiculously fast laps. 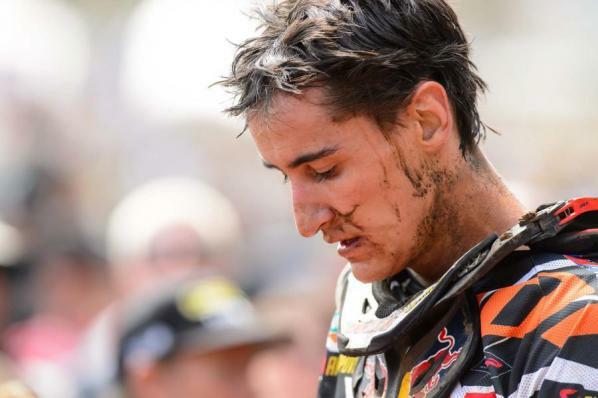 He immediately opened a huge gap and won the moto by nearly twenty seconds. 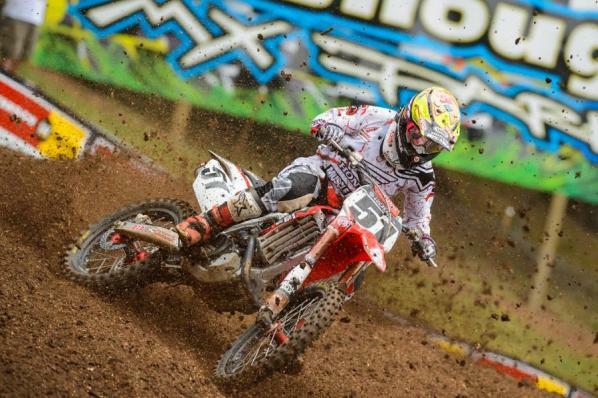 Ken Roczen started in roughly twelfth place in the first moto, but quickly made moves through the pack. 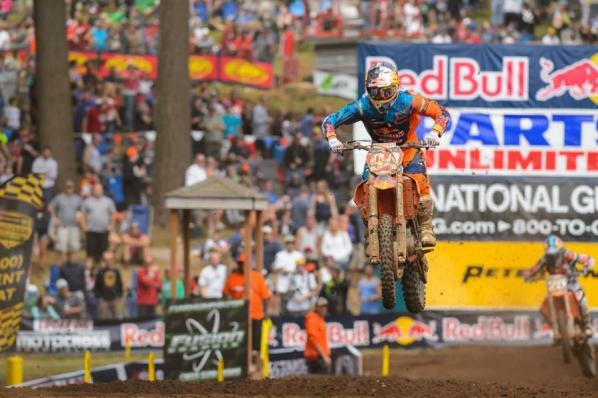 Roczen closed on his teammate Marvin Musquin and made the pass at roughly the halfway point of the moto. 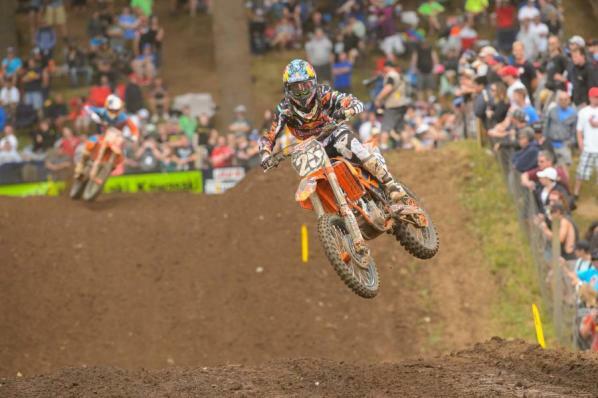 Musquin surged late in the moto and caught back up to Roczen. Meanwhile, Bogle hung on for fourth. 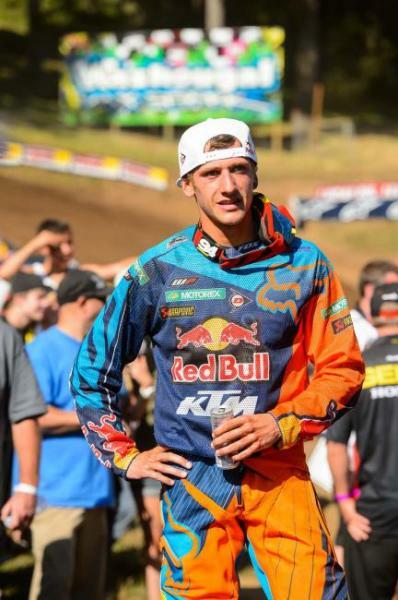 After hounding Roczen like crazy in the final stages of the moto, a slight mistake at the end from Musquin gave Roczen the breathing room he needed to take second place. 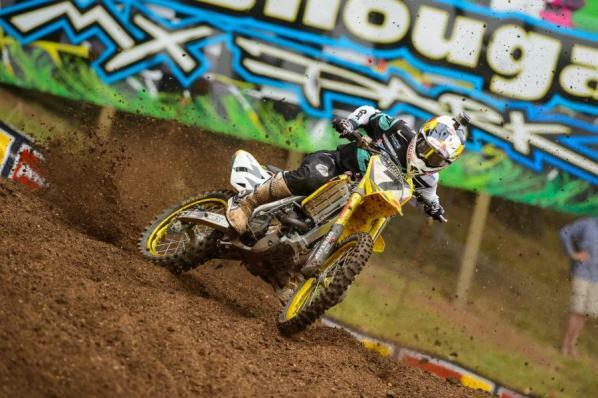 Bummer of a day for Baggett, who was flying in the first moto. He had second in the bag until a mechanical failure took him out of the race. Baggett pushed his bike up a hill and tried to bump-start it, but it refused to fire. by laying down his best performance of the year by far. Hill battled up to fifth by the end of the moto. finishing sixth after starting outside the top fifteen. Wil Hahn grabbed the holeshot in the second 250 moto but immediately muffed a turn, handing the lead to teammate Bogle, who led briefly before handing the lead over to Tomac. When Roczen moved into second place on lap two behind Tomac, it looked like we would finally get to see the class heavyweights go at it. 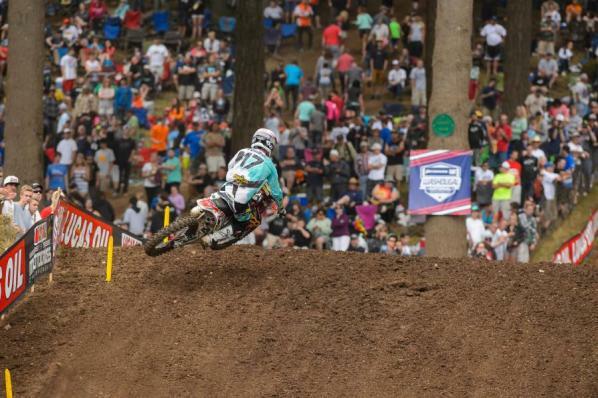 But it was not to be, as Tomac's pace was just too fast for Roczen at Washougal. Interestingly enough, Tomac's margin of victory over Roczen was roughly twenty seconds in both motos, despite Roczen starting much better in moto two than in moto one. 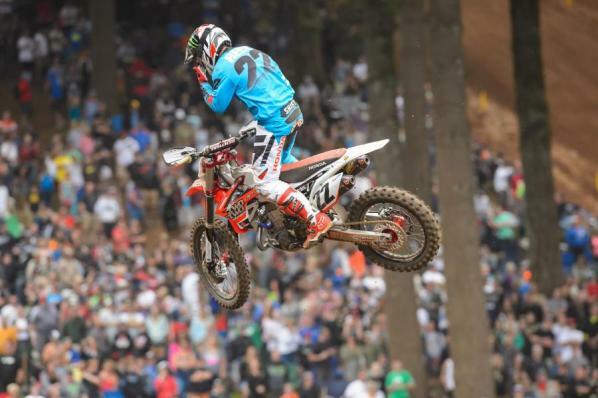 Way behind Tomac and Roczen, there wasn't a whole lot going on until the second half of the moto. Zach Osborne had been dogging Justin Bogle for third for the whole moto, yet couldn't seem to make up any ground on him. 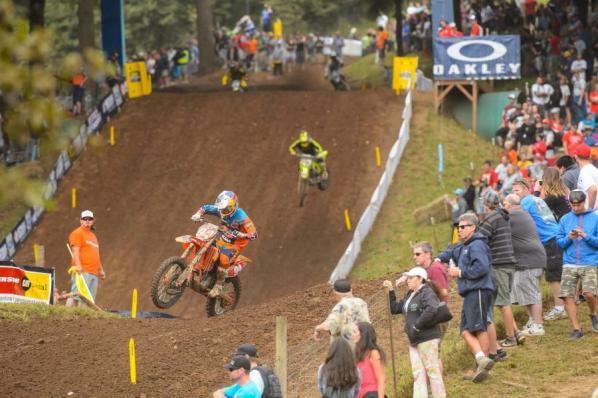 Behind Osborne was Musquin, who was very slowly creeping up on both Osborne and Bogle. A little ways back was Jason Anderson, who was closing on all of them but had too much ground to make up to be a factor in the battle. 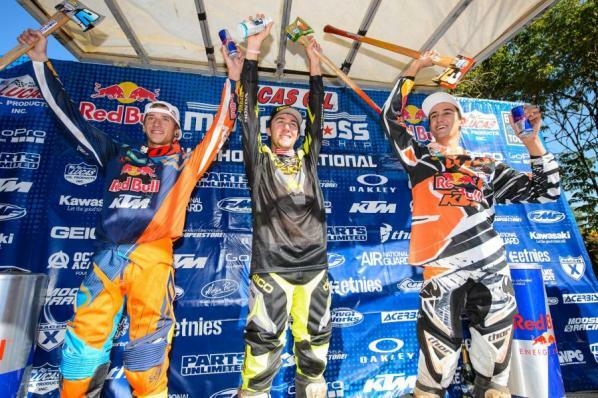 But then something happened to Bogle, and he dropped spots to Osborne, Musquin and Anderson in one lap. Elsewhere Baggett was having a few of his own problems. 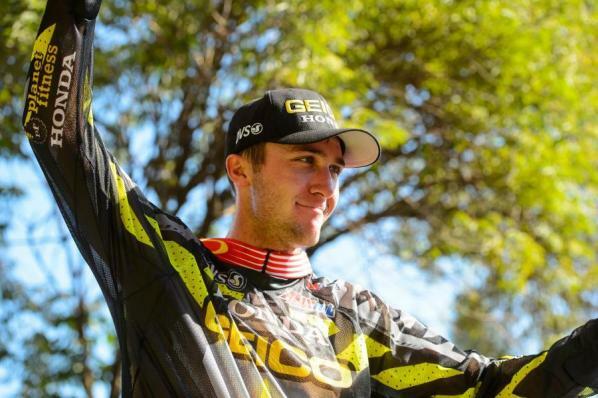 After initially looking like he would join the battle for third with Bogle, Osborne and Musquin, he started fading and was eventually passed by his teammate Justin HIll. 250 Overall: Tomac, Roczen, Baggett. 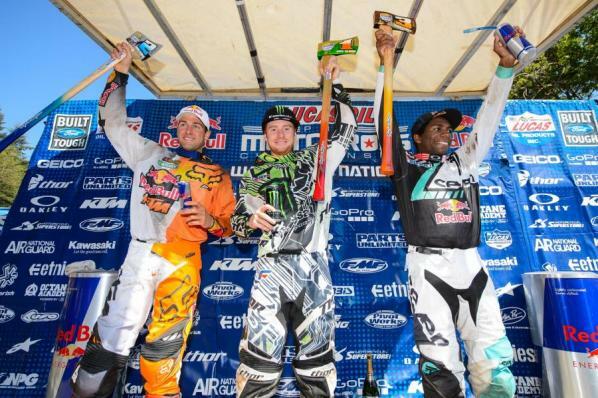 Click HERE for full 450 overall results. 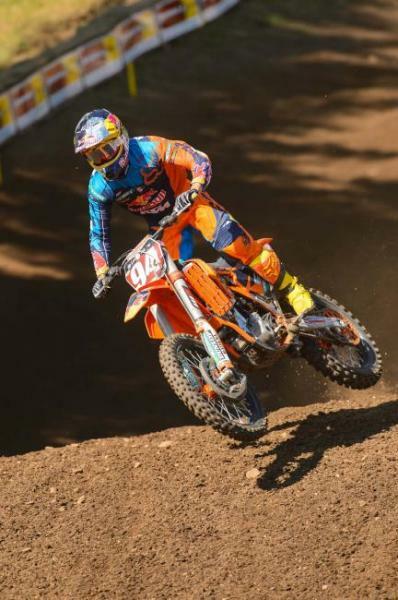 Click HERE for full 450 point standings. Click HERE for full 250 overall results. Click HERE for full 250 point standings.